The SPECTRUM Premier Pleat range is one of the most effective pleated cartridges available. 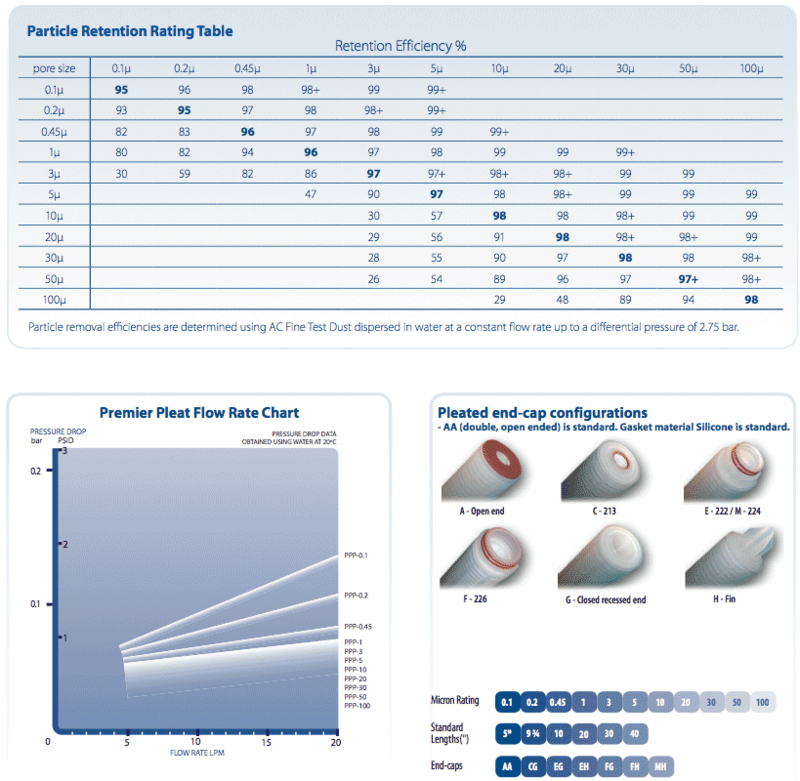 The improved multi-layered media delivers a reliable pleated cartridge range that provides exceptionally sharp cut-offs for consistent particle removal. A large surface area (0.6m2 per 10″), up to 50% more than other industry comparable cartridges, ensures the Premier Pleat delivers superior flow rates and higher dirt-holding capabilities. The Premier Pleat is constructed from a technically advanced media capable of effectively and consistently removing the desired particle size, while allowing finer, non-damaging particles through, thereby maximizing filter life and ensuring dependable particle separation. Advancements in technology have created an improved and more robust outer casing, providing increased protection to the pleat pack. 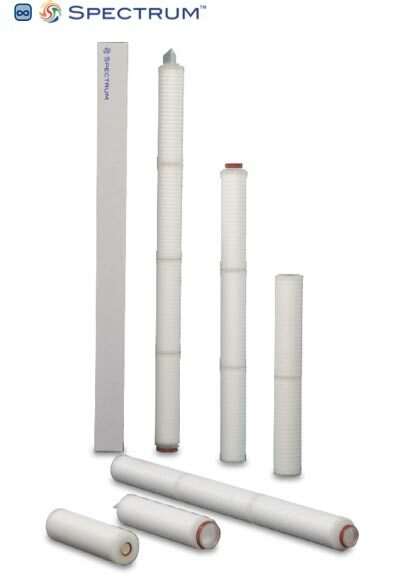 All Premier Pleat cartridges are thermally-bonded as opposed to being of glued construction, thus ensuring no leaching of adhesives into the filter stream. To ensure protection and security in transportation, storage and handling, each cartridge is individually boxed and has an additional layer of heat-sealed packaging for enhanced protection. -providing clarification / purification of foods and beverages including beer, wine, spirits, soft drinks and bottled water. -for the purification, filtration and management of intermediates used in the manufacture of medical and pharmaceutical products. -for the preparations and control of water used in the manufacture of semi-conductors and other electronic components. -for the filtration of high-grade chemicals, including reagents, inks, emulsions, paints and plating solutions. -for the filtration and purification of water used in water treatment processes.